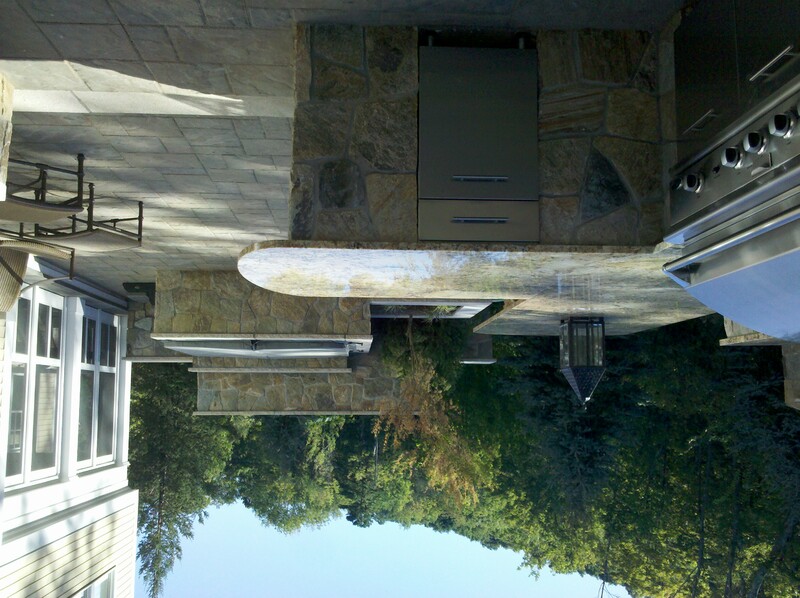 Preferred Properties landscaping and Masonry set themselves apart as truly outdoor living master designers. Look at this project. 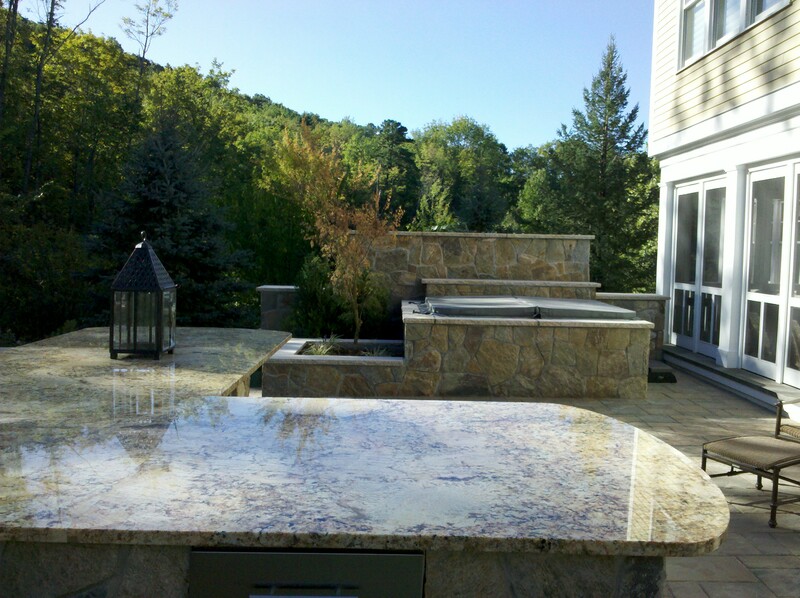 Outdoor living beyond the Walls of your home cannot get better than this tranquil set up here in Avon Connecticut. 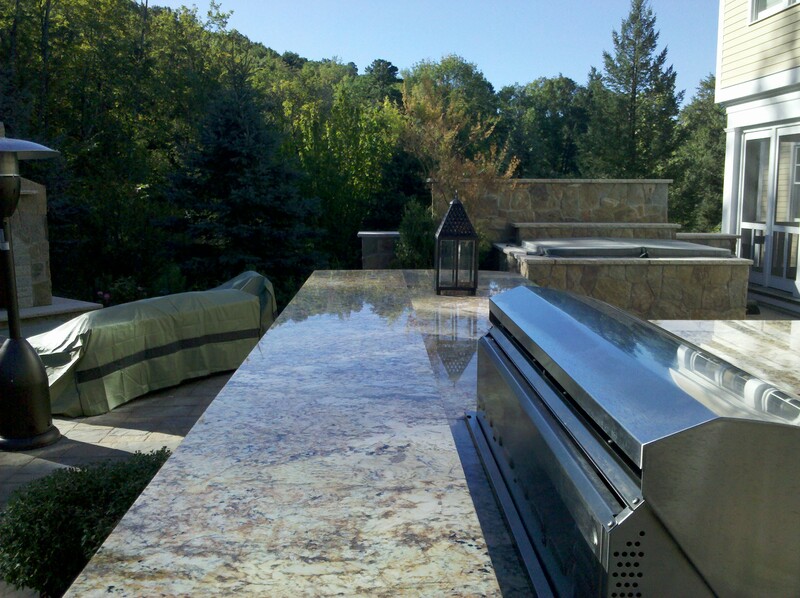 Outdoor Living Design has paralled and overcome landscape design in many instances. 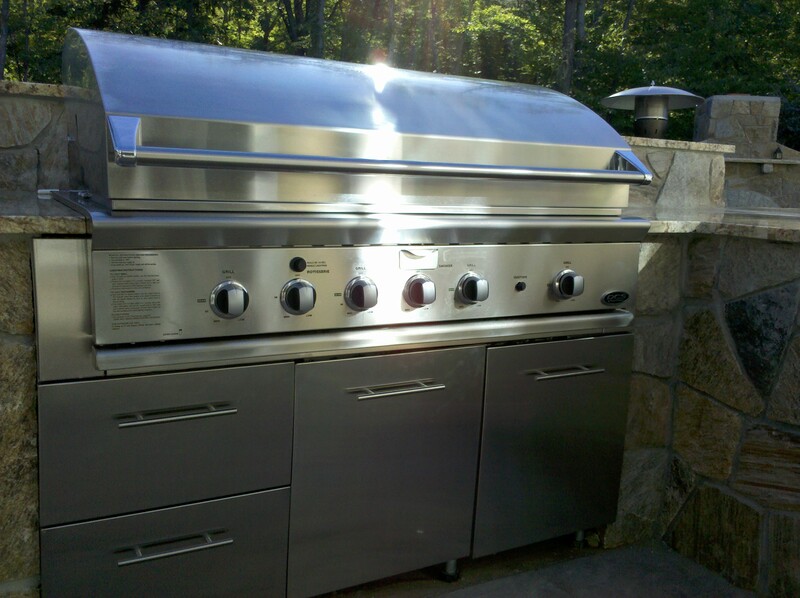 Living beyond the walls of your home has become quite exciting in the past decade. One’s living lifestyle indoors now can be portrayed outdoors. A family vacation or oasis as they call it can now be part of the home residence. Swim up movies, Firepit smores, Cozy outdoor conversation around the outdoor fireplace and lastly outdoor kitchens with everything under the sun can now be custom built.. Living outdoors comfortably even under the moon now possible as strategic nightlighting falls upon the outdoor living space.. 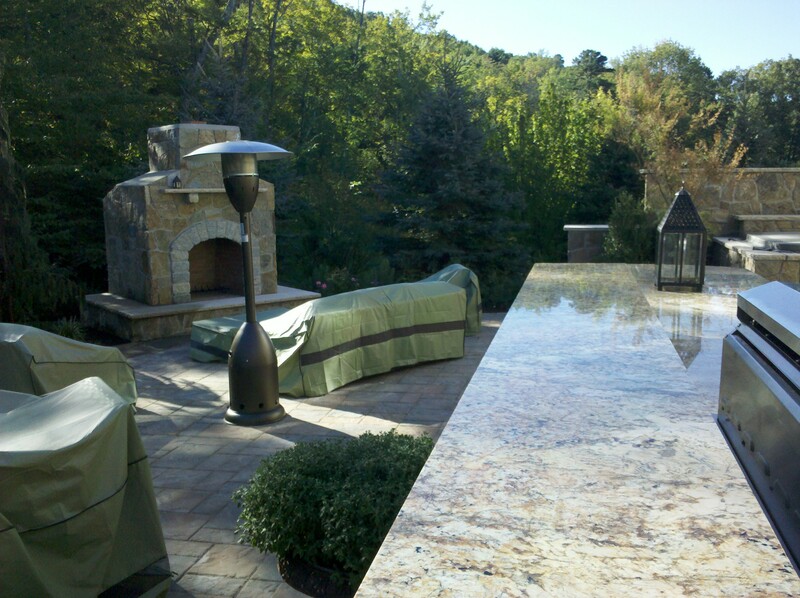 These all part of Principle designer Michael Gotowala of Preferred Properties Lsc and Masonry as he continues to supercede customers expectations and challenge his staff to build the ultimate in outdoor luxury living. 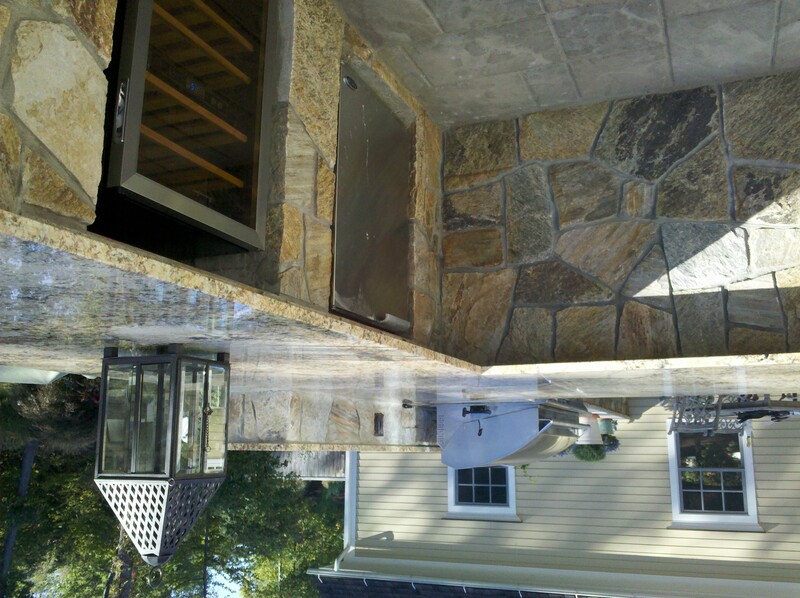 This outdoor living space featured here has a covered space for after dinner converstaion. 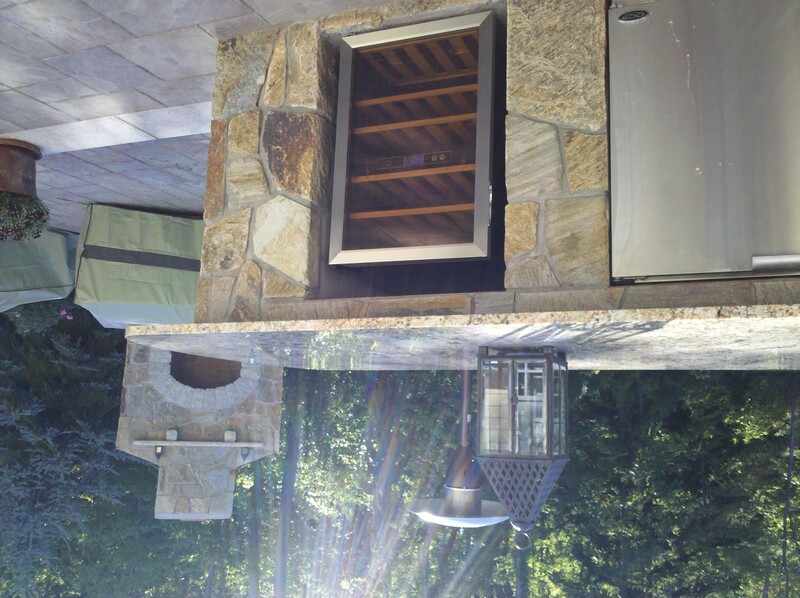 A custom built wood fired fireplace with Wood stack built inside the back of it for ease of fire buiding. 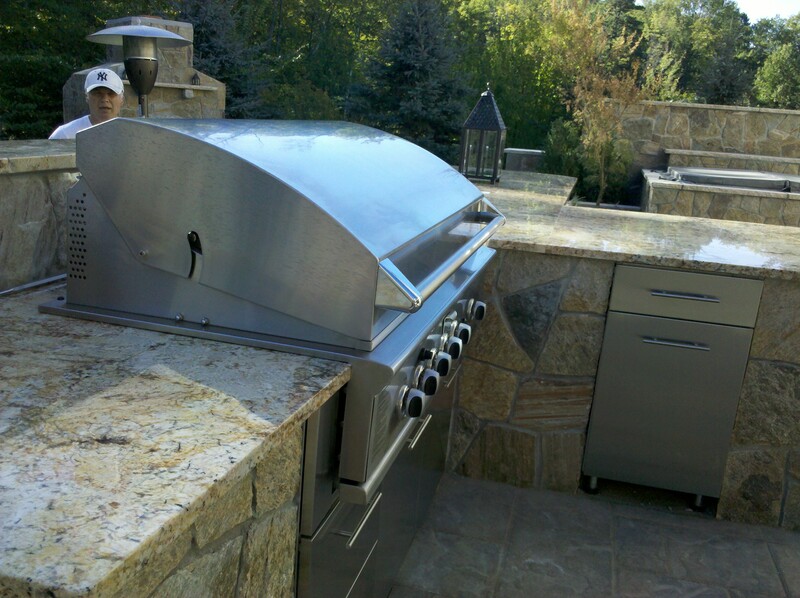 The focal and centered outdoors is a magnificent outdoor stone grill island in a TEE shape with cooking located on one side central to the indoor kitchen. 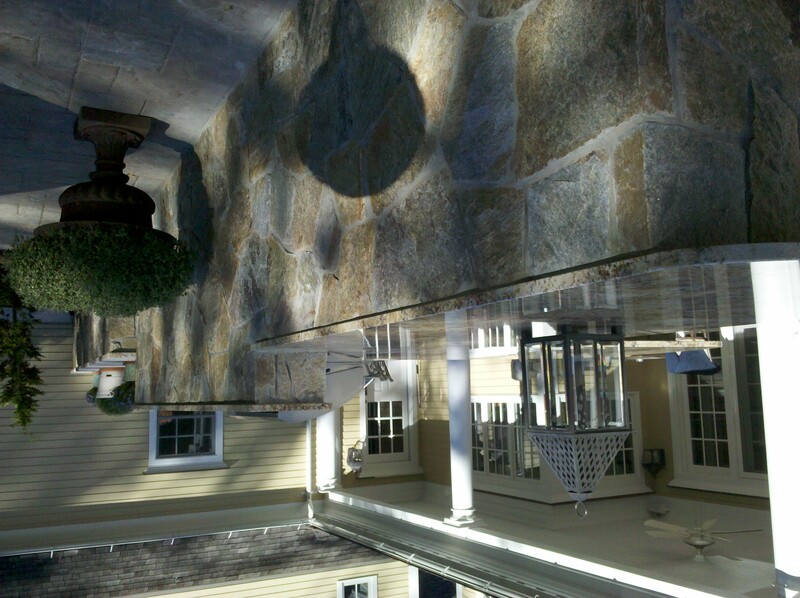 the right side of the island TEE houses bar stools and wine cooler with refrigerator for wine tasting and fire viewing. 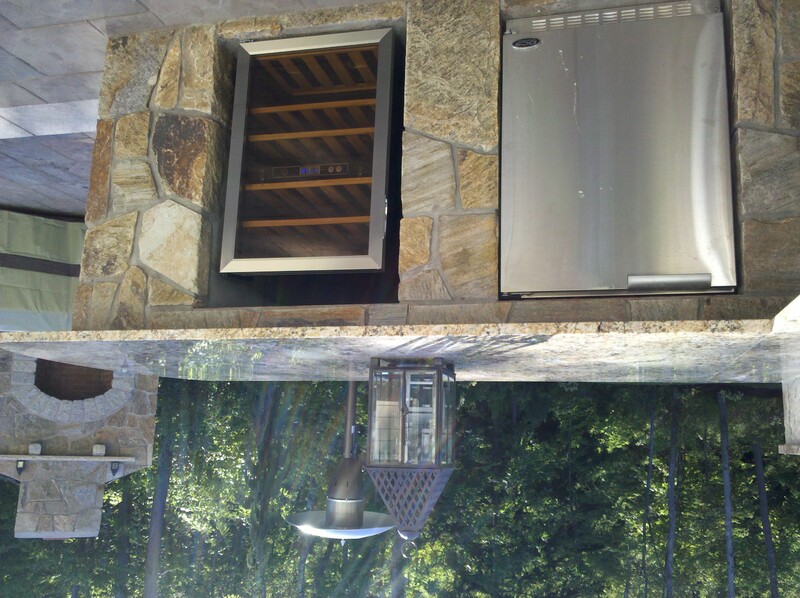 Just right of the outdoor kitchen island on the end of the patio is a hot tub built into a privacey wall amongst fire jars and landscaping nicely lit at night for great entertaining and emotion. 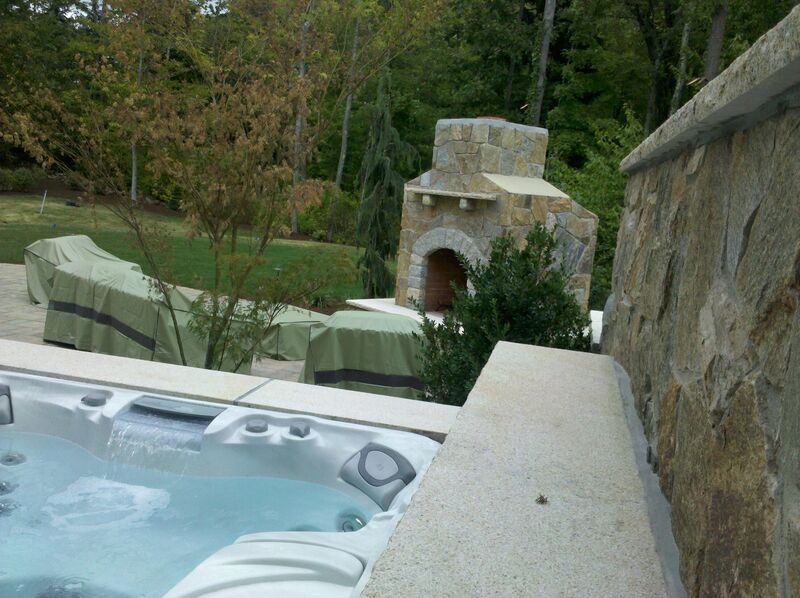 Mariner Spa and Preferred Properties Custome Stone work, Landscaping, and Lighting. 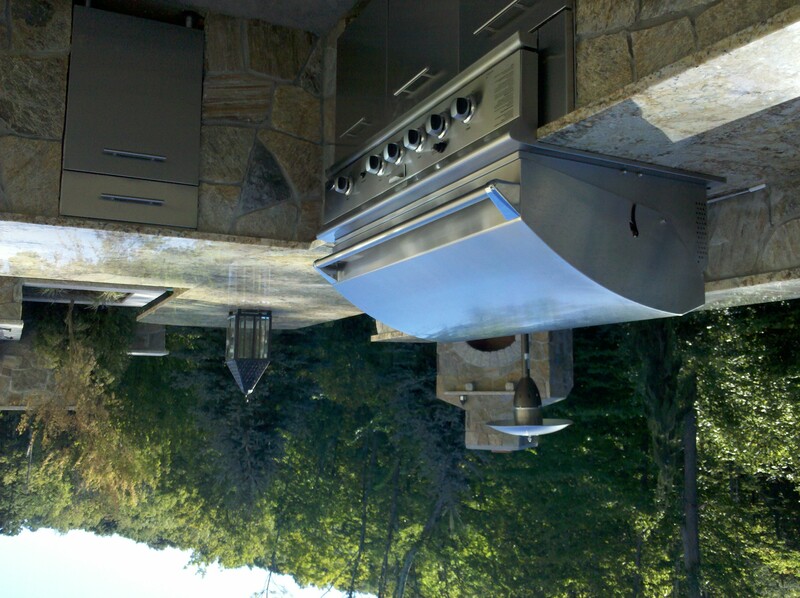 If you wish to live a Preferred Lifestyle beyond the walls of your home, Contact outdoor kitchen and living lifestyle designer Michael Gotowala principle designer of Preferred Properties LSc. 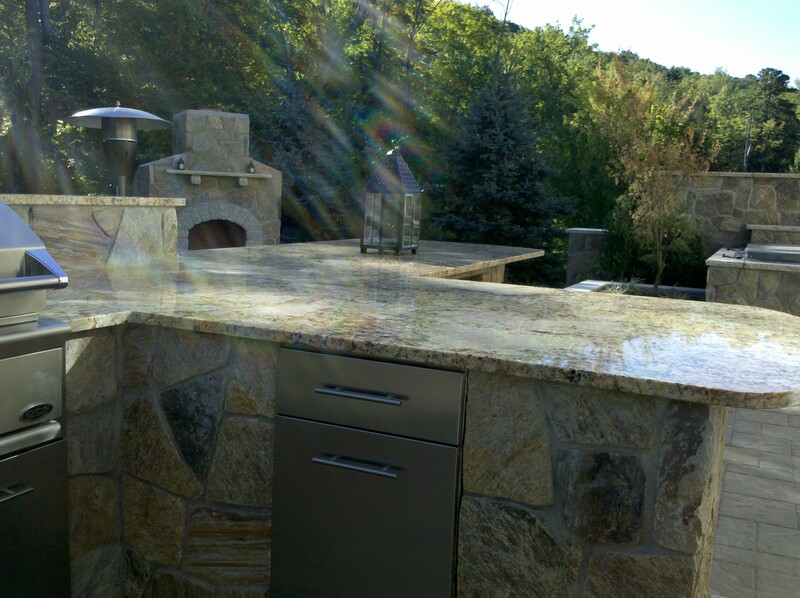 Michael has numerous outdoor kitchen projects featured in Signature Kitchens and Baths Best OUTDOOR KITCHEN hard cover book published nationally. Michael and his staff is also a two time AOLP outdoor lighting award winner recipient. 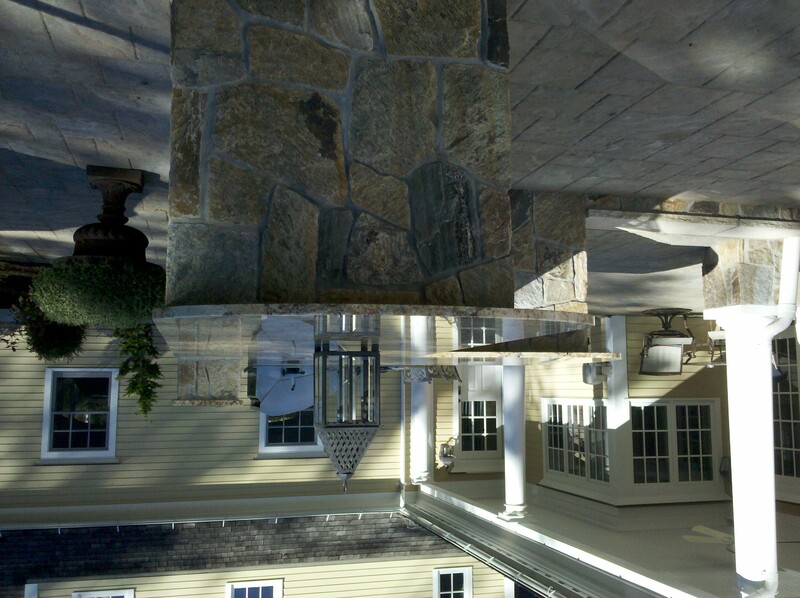 Stone spa built into privacy wall of fire, outdoor fireplace, outdoor granite kitchen and wrap around bar over looking This Tri level courtyard. This entry was posted in association of professional Landscape designers, Award winning back yard oasis, exterior lifestyles, Featured Projects, landscape architect, landscape architecture, Landscape Design, landscape designer, landscape lighting, landscape lighting design, Landscaping, Live a "Preferred" Lifestyle, Masonry, outdoor kitchen design, outdoor lighting, Outdoor Lighting / Low Voltage Lighting, outdoor living, Outdoor Living and Landscaping specialist, Preferred Properties Landscape designer, Preferred Properties Landscaping, Preferred Properties Landscaping and MAsonry and tagged Featured Projects, Landscape Design, landscape lighting, Masonry, outdoor fireplace, outdoor kitchen, Outdoor kitchen design, outdoor kitchen designer, outdoor kitchens, Outdoor Lighting / Low Voltage Lighting, outdoor living designer, outdoor pizza oven, Preferred Properties Landscaping, Preferred Properties Landscaping and MAsonry, preferred properties landscaping and Masonry. live a preferred lifestyle., Stone fireplace. Bookmark the permalink.